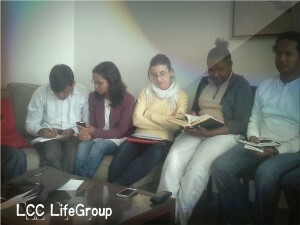 Life Group is a safe place to connect, discover who you are in Christ and grow in a loving and nurturing environment. In the Bible ( Act 2:46 ), Christians met regularly in homes to share and experience a deeper spiritual community. This type of home cell groups, offers members grow and connect more, it also gives guests to the opportunity experience the love of Christ, experience support through challenges they might be facing and have the opportunity to encounter Christ. Home cell groups give our members the possibility to actively use their various gifts to actively serve each other and their communities. We refer to these groups as "LifeGroups". Our Life Group meetings are held fortnightly (every two weeks), on Thursdays at 18:00 at three locations in Helsinki, Vantaa and Espoo. Please refer to our events calendar (under the events menu) to see when our next Life Group meetings will be holding. The addresses where these meetings are holding be posted as soon as they are available. What to expect during the Life Group meetings: singing (Praise and worship), people sharing their experiences to encourage others and how God has helped them (testimonies), prayers for specific needs, discussions based on specific portions the Bible Language, and time to enjoy some refreshment and freely interact with others (fellowship). English is our language of interaction, you are welcome even if you do not speak English language, it is certain that you will be richly encouraged and blessed.